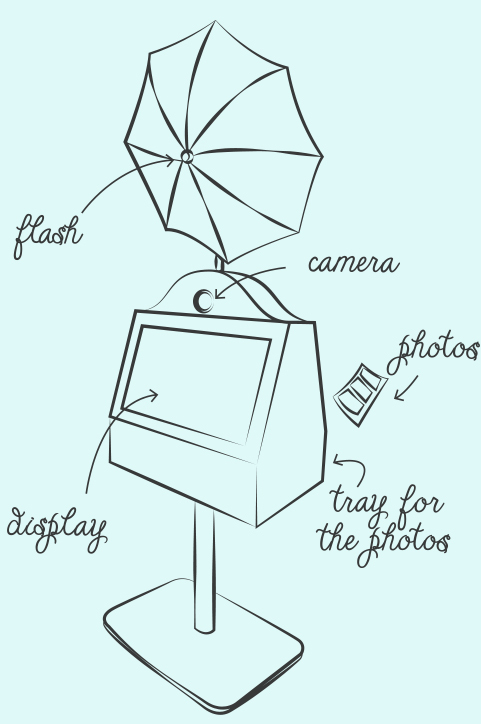 The device, which works as a photo box, however without a box. It is a photo-digital new, first of its kind in Slovakia. FunFace is a modern device with clear design, which was designed in order to be efficient, flexible and to do amusing photos, which you can print immediately. FunFace has designed clear, elegant, nevertheless remarkable “facade”. Inside the device are components of the highest quality, which create amazing printed photos. The part of our package are also a themed props, which we supply according to your wishes, depending on the theme of a party. Our props will add new refresh to your photos and will create a pleasant atmosphere. We can guarantee the amusement not only for children, but mainly for the adults. If you want to discuss logo of your company and graphics associated with it, just send us your ideas and visions, we will take care of everything else. Everyone who will get a photo will have your logo on it.